So you like TFA Prowl? How do you like this?! So, another awesome bot showed up recently. I thought this setup.. If I can get his hips (outward universal joint) tightened up he's probably gonna be my favorite Megatron!! Glad you like him. sorry I didn't mention the loose hips. It slipped my mind. Cobotron wrote: I heart Baysplosion pose! That pose is the cool!! No worries about the hips, I'll figure something out I'm sure, not the first figure I've had with loose hips!! yes! I've heard so many great things about Rodimus, but I've yet to enjoy the mold myself. And nice Megatron! the flame accessories rock! You know the old saying "loose hips sink ships!" D-Maximus_Prime wrote: yes! I've heard so many great things about Rodimus, but I've yet to enjoy the mold myself. D-Max, Rodimus Minor is pretty dang sweet. SO SWEET that I was perfectly fine double dipping and getting Black Rodimus of the same mold! I fixed a leg pinned part issue on BR but his neck is still pretty loose, not sure I can do anything for it really (his collar and his neck ball peg). Leader Megatron continues to wow me, kind of like Armor Knight Optimus!! And who wouldn't love to see Megatron do the Baysplosion pose?! Speaking of AKOP, I reaaaaaally need to get him a better Temenos Sword. That orange one he came with, blargh. carytheone wrote: You know the old saying "loose hips sink ships!" That saying is true, but almost the opposite here. His ship mode will be fine, his bot mode will sink!! Wings down Finkle, WINGS DOWN! Come on in and receive a free tennis bracelet with your test drive! That alt mode is tops and look at the interior of the car. I held Alt Skids this weekend and was shocked that he had a light coating of dust. What the hell, when did my figures start collecting dust? Heck yeah it is Cary!! I think I'm bringing him back to the office Monday with Sam Witwicky from the Human Alliance set. Realistic interiors are the coolest! Wow. Lack of update in the houuuuuuuuuuuuuuuuse!! I picked up this big cat..12 days ago! 10 days ago I brought these two in for a romp down memory lane. Jazz is definitely out of scale in alt mode, bot mode was more fun than I remember though! I re-arranged/cleaned my top shelves 9 days ago. Six days ago I dug this guy out of storage and went on a quest for a different head. Such a small ball peg, but I found one which fit in alt mode..
And looked b-e-a-gorgeous-utiful in bot mode! I'll be updating the wing insignias soon. His head swap mate wasn't pleased though..
Today, MP Road Rage and MP Ironhide are here with all accessories!! Let's see if I have time for fun. Stuff and things have happened, I feel experienced! MOAR pictures of shelves! NAOW! carytheone wrote: Stuff and things have happened, I feel experienced! Cobotron wrote: MOAR pictures of shelves! NAOW! Well, the other two shelves are largely unchanged. Let me see if I can think of the breakdown..
On the Decepticon most awesomely complete shelf, all of the G1 Reflector team are now standing. Viewfinder is still on the frontline, with Spectro and Spyglass hanging out under Devastator. The Autobot shelf has had some changes. Reximus Prime is now in bot mode, CW Huffer, TR Brawn, PotP Windcharger, Alternators Jazz have joined the shelf. Everything is dusted, TRU MP Rodimus Prime isn't there as MP Hot Rod currently is. I have Generations GDO Cliffjumper in the area..just not sure if I want him on the shelf or not. I was also thinking about finding a Bayverse Gears as I missed out on Generations Gears. I'd be OK with Generations Gears as my stand in I think. Still need a Trailbreaker worthy of the shelf (I'm looking at you Aegis!!) and I think that MMC OM Hellion has my attention for Cliffjumper over the GDO version. Alternators Hound would be perfectly fine by me as my Hound, still no idea what to do about the Lambros or Mirage. The shelves are crowded as is which is one of the reasons I parted with MP Ultra Magnus and the MP Rainmakers! Then there's the "play bin" which is basically all of newer than Classics (with only one Classics in there) figures that I like. Struggles! Last edited by Scramjet on Thu Feb 15, 2018 10:53 am, edited 1 time in total. carytheone wrote: Well, the other two shelves are largely unchanged. Well, the other two shelves are largely unchanged. EDIT: Which TB is Aegis? I need a definitive TB for my shelves. FIXED!! In this post too!! I can vouch for their(XTB) Hoss (aka Gobot Road Ranger) figure. But I have read mixed reviews on them overall. 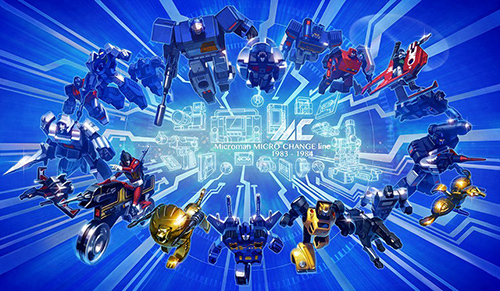 I think I'm leaning towards MMC's Ocular Max TB and XTransbots's Hoist. itscramtastic wrote: I re-arranged/cleaned my top shelves 9 days ago. Very interesting picks for your top shelf! Sixshot still looks good even as a G1 brick, Menasor is loud, and PRIMAL!!! I am almost the whole way through season 1 of BW and I love him, they did fantastic with him as a character and I cannot wait to get a toy of him! carytheone wrote: I can vouch for their(XTB) Hoss (aka Gobot Road Ranger) figure. But I have read mixed reviews on them overall. I'll have to re-check but I think one of the 3 released is smaller than the others. I know BadCube did one, MMC/OM, and X-Transbots. I also think that goes the same for Hoist, and that Hoist may have adjustable legs to make him taller or shorter on the ones that he's not already shorter by default. D-Maximus_Prime wrote: Very interesting picks for your top shelf! Sixshot still looks good even as a G1 brick, Menasor is loud, and PRIMAL!!! I am almost the whole way through season 1 of BW and I love him, they did fantastic with him as a character and I cannot wait to get a toy of him! Here's the Autobot shelf that someone demanded pictures of. Not in the picture, and makes me sad, are Alt Mode Hound and Sideswipe as they would be my current representations of the characters. Finally labeled this guy up. Well the stickers seal the deal. He looks great. What were you calling him? Wing Saber Optimus Prime? So many songs came to mind for this pic. Because it's a chill Friday, this song wins. @carytheone: Tom Petty = win. On to other things on my desk this week! Tuesday I brought in two vastly different figures. Yes, his missing his left forearm and hand. No, I don't know where it went and have been frantically searching for it!! Love that Bumblebee though. He's a lot of fun. The alt mode definitely fits together better than the AoE "new" Concept Camaro. I do miss the AoE classic Camaro though. Definitely a solid toy that looked amazing and was actually screen accurate for the most part!! And here's the other Tuesday-bot, not-Hot Rod (or IS he Hot Rod?!) Excellion from the Cybertron line. I forgot how much fun this guy is. I like him as Hot Rod more than Classics Hot Rod! He's got the look AND little details, like the arm exhaust/blaster thingies!! Yesterday and today I brought this guy. Sort of solid bot, super solid alt mode. I located his missiles, and made changes from Wednesday to today with his legs though, can you tell?! I foresee MPM3 in my future.. I never got that deluxe Bee, I got the Nitro guy, and he is awesome!! That Excellion mold! nice! Love the colors! How did you get HA Bee's wheels on the outside of his legs? And is the change the moving of the thigh armor? D-Maximus_Prime wrote: I never got that deluxe Bee, I got the Nitro guy, and he is awesome!! It's currently my favorite Bayverse Bumblebee, even with the missing arm!! He looks the part. I mean, so does HA, but we'll get there. D-Maximus_Prime wrote: That Excellion mold! nice! Love the colors! If you can find him for regular price (no more than $15) I say he's worth it. Solid dang chunk of a bot, decent range of motion, I love both modes!! D-Maximus_Prime wrote: How did you get HA Bee's wheels on the outside of his legs? And is the change the moving of the thigh armor? 5,000 pages were recently viewed by 1,035 unique visitors. This page was viewed 1 times on Sunday, April 21st 2019 3:16pm CDT. © 2019 Seibertron, Inc. DBA Seibertron.com. All Rights Reserved. Established June 2000. Seibertron.com is owned by Ryan Yzquierdo.